The Tree of Life Synagogue in the Squirrel Hill neighborhood of Pittsburgh. HARRISBURG — The state lawmakers stood side by side inside the Capitol on Wednesday, their heads bowed, as Rabbi Cheryl Klein — whose congregation worshiped inside the Tree of Life synagogue in Pittsburgh — delivered the closing prayer. Klein’s prayer came at the end of a roughly hour-long joint session honoring the 11 people who were killed inside the synagogue on Oct. 27, as they were worshiping or preparing for services. Wednesday marked the first time in 18 years that the House and Senate have met together to honor victims of a violent crime. The last similar session was held to honor victims of the 9/11 terror attacks in 2001. Klein’s remarks landed before a legislature that has not taken any substantial action this session on gun-control measures supported by some surviving victims or some of the relatives of the deceased. Some have advocated for measures that would ban semiautomatic weapons or give courts greater authority to take guns from people who might present a danger to themselves or others. Pittsburgh Mayor Bill Peduto this week signed legislation to enact similar restrictions within the city limits. That effort was quickly met with a lawsuit supported by the National Rifle Association, which argues that the power to impose such regulations lies with the state and not municipalities. Though Klein did not mention any particular bills, she did speak about gun violence and killings inside places of worship. Before she spoke, legislative leaders — Democrats and Republicans — condemned anti-Semitism and the violence of that October day. 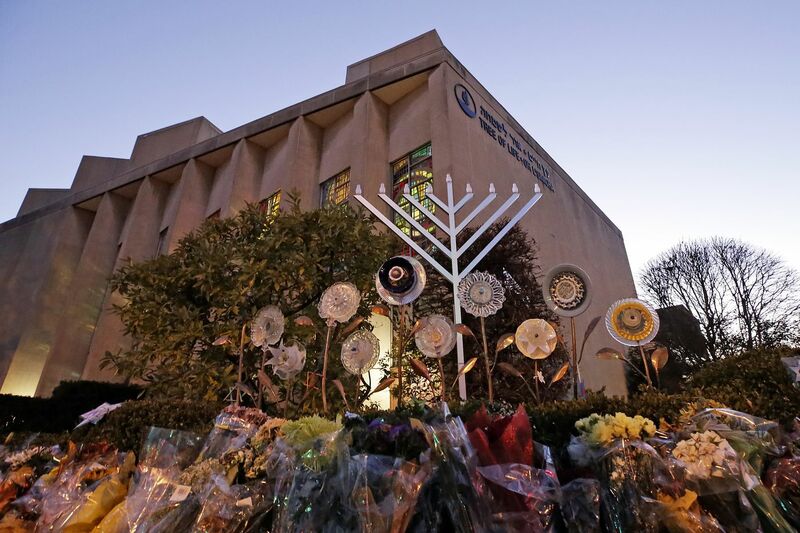 Many also praised first responders and Jewish community groups in Pittsburgh for their swift reaction to the shooting. And they addressed the surviving victims and the relatives of those who were killed, many of whom sat in the audience for the special session. “Hatred caused this group of people immeasurable pain, but what we have seen from you is grace,” said State Rep. Dan Frankel, a Democrat whose district includes the synagogue. Frankel read the names of everyvictim and tidbits about each of their lives. More details came in a resolution proclaiming Wednesday “Stronger Than Hate Day” — a nod to the phrase that has become a rallying cry in Pittsburgh in the months since the shooting. Jerry Rabinowitz, a doctor, died searching for wounded people in the hope that he could help them. Cecil Rosenthal earned the nickname of “honorary mayor of Squirrel Hill,” the synagogue’s neighborhood, and his brother David stood apart for his worth ethic and love for police and fire departments. Bernice Simon, a former nurse, died alongside her husband, Sylvan, a veteran and retired accountant with whom she shared funny but kind banter. Dan Stein, who worked as a salesman, a funeral home driver, and at one point a substitute teacher, had earned a reputation as an unpretentious fund-raiser for his congregation. Melvin Wax used his skills as an accountant to track Pittsburgh Pirates statistics. Irving Younger, who owned a realty company, had served as a high school baseball coach and delighted in his new role as a grandfather.